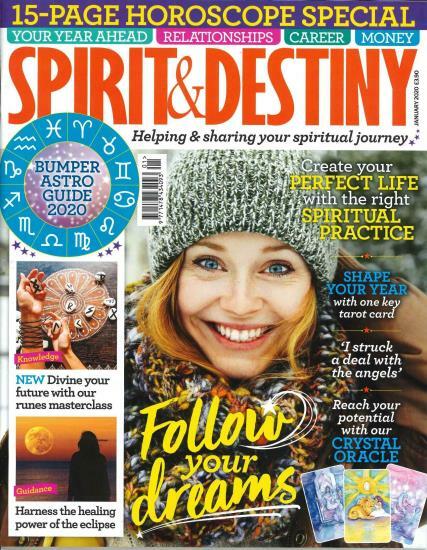 TheSpirit and Destiny magazinecan spark a hint of magic in your life with its contents. It is packed with loads of simply amazing features that are from the worlds of magic, Feng-Shui and psychic matters. Besides these, it features other things such as the latest news based on fitness as well as holistic health. The contents covered can help you in freeing your body, mind and soul. Moreover, you can also enjoy surprisingly accurate horoscopes of every month that comes out with each issue of the magazine. All of these simply seem to be out-of the world. It is no ordinary or a usual horoscope-magazine that you can find ordinarily, but it incorporates numerous sections about everything, starting from celebrity interviews to aroma-therapy oils. Though it has articles covered in it that could be categorized as points-of reference, the diversity of the magazine in terms of the topics covered is also very interesting. The magazine has a quick-guide index present at the beginning to enable you in peeking at the content.